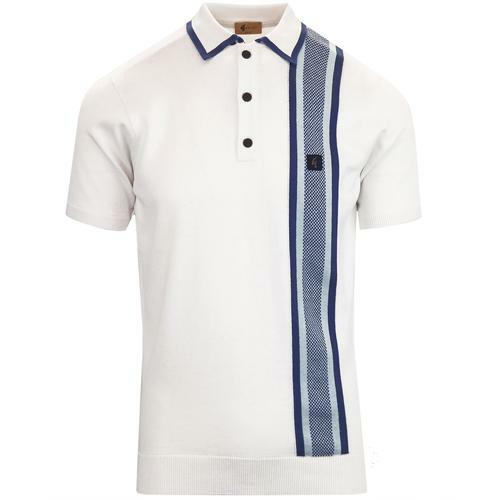 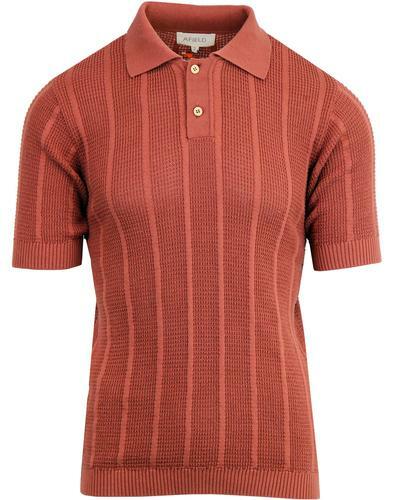 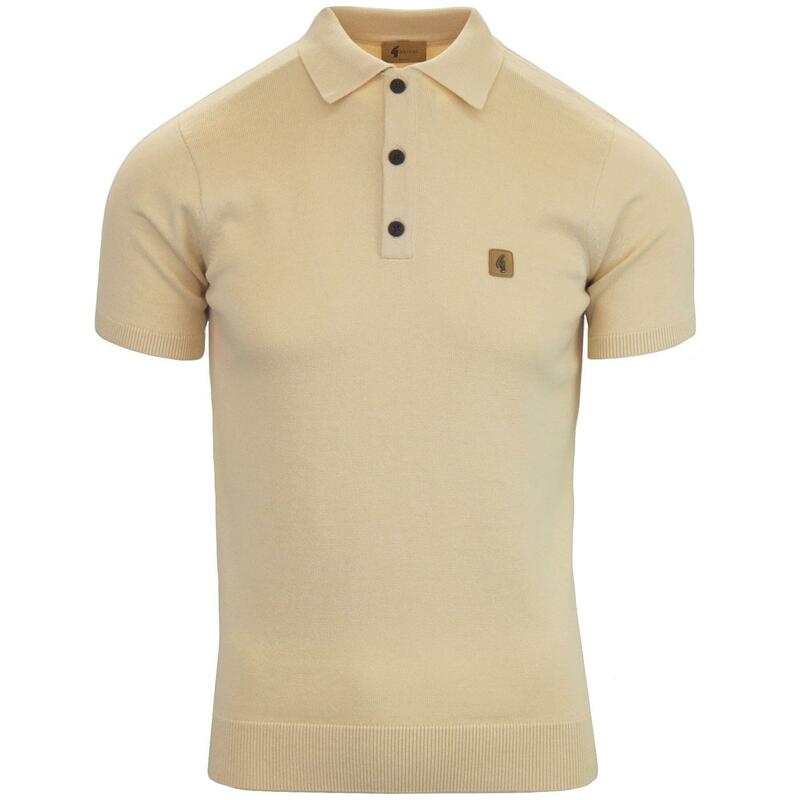 Gabicci Vintage Jackson retro mod knitted polo in Oat. 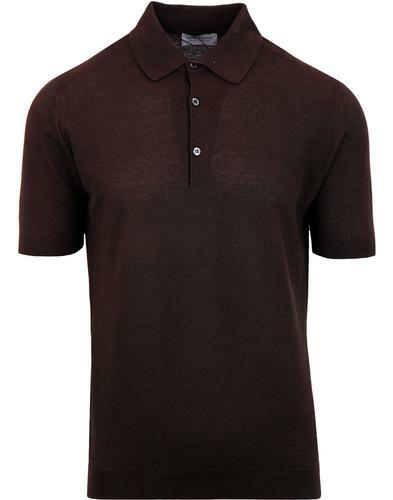 Classic styled knit polo with 3 button placket plus concealed under collar button, traditional 60s ribbed collar, short sleeve and ribbed cuffs and waist. 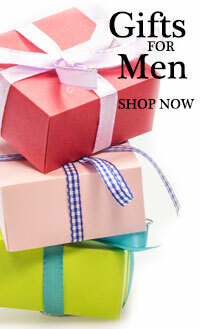 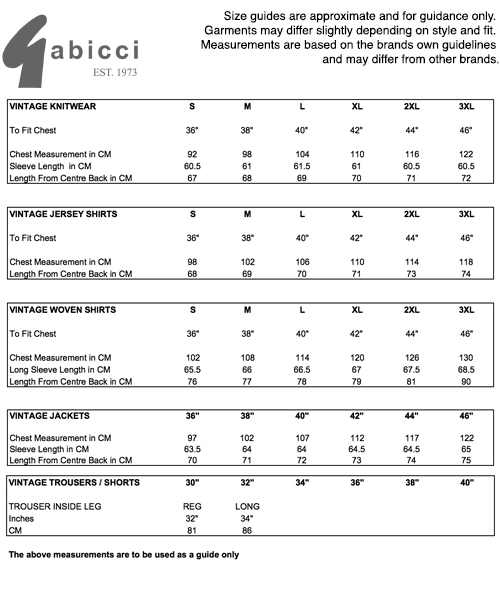 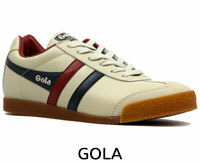 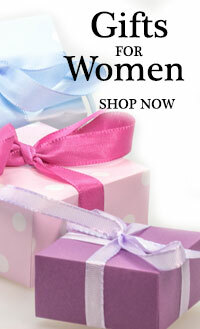 Instantly recognisable Gabicci Vintage G branding to left chest.